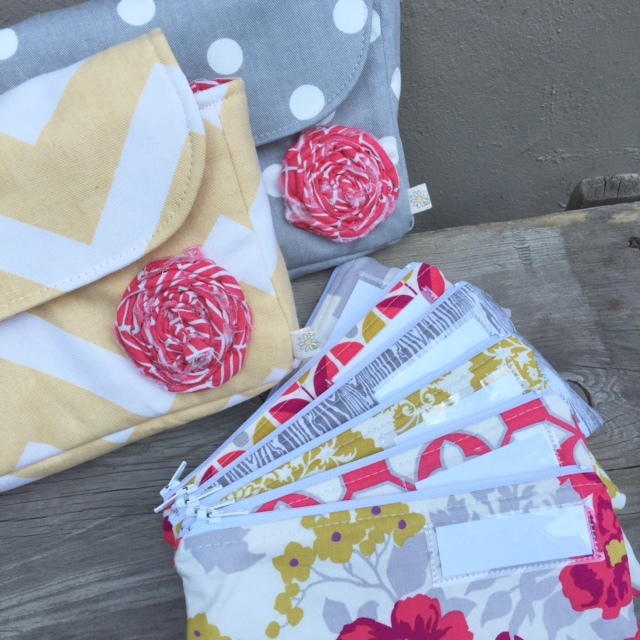 Exciting Shop Announcement - Fabric from DLD! DLD will now be carrying fabric! Bolts and bolts of lovely, gorgeous, want to make everything out of it fabric. Peeking in... some lovelies from Joel Dewberry and Erin McMorris. 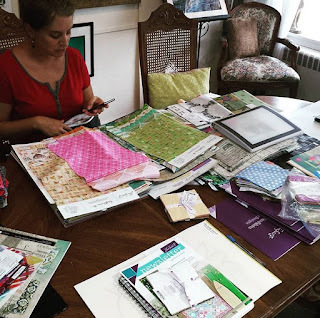 And then I got to sit down with the rep from Free Spirit Fabric and pick more! She was so sweet and patient, fully letting me have my happy dance moment and enduring all of my "I'm new at this and I don't know quite what I'm doing, but I'm having so much fun!" -ness. I look quite put together here, like I'm all serious and sophisticated. And there's Tim Holtz and Tula Pink coming too! Well, starting tomorrow, Friday, August 28, fabric will be available for purchase at Great Pacific Frame Shoppe, 1004 Trenton Ave, in Point Pleasant. There is a section towards the back by the frame wall where all the fabric will live. You can see from the picture that in addition to frames and fabric, the shop also carries a large selection of amazing yarn, so really you should just come down and visit allllllll that. Also, over time, I will be adding in stock DLD items, sewn up in these exciting new fabrics. They will also be available as listings in the Etsy shop. Having a large selection of coordinating fabrics all on hand in one place will make turn around time quicker. Eventually, we will be adding fabric listings, to the Etsy shop, and bundles and kits as well so that those of you who are not local will have a chance to purchase them. Congratulations Allison, on your new venture.....Love your fabric choices and think it is great that there's fabric for sale at Paige's...I come from a long line of sewers and knitters and was always in the fabric store with my Mom who made most of my clothes when I was a child and subsequently I made and designed most of mine when I was in High School. So if you are looking for any b/w designs out of the ordinary, consider our PillowTalk designs which we can print for you in many sizes to your specs for your fabulous bags and carriers.